This is an independent review of Computicket Buses. Aside from supplying movie tickets, Computicket is known for offering bus ticket across a range of intercity liners like Intercape, Translux, and Greyhound; as well as across the full gamut of destinations in southern Africa. You can purchase tickets at various Shoprite stores (computicket are owned by Shoprite) as well as online and telephonically (phone 0861-915-4000 or +27-11-340-8066). So, before buying your pap and wors at your nearest Shoprite, head to the Money Market Counter (that's where you'll find Computicket Travel) and plan your next holiday. 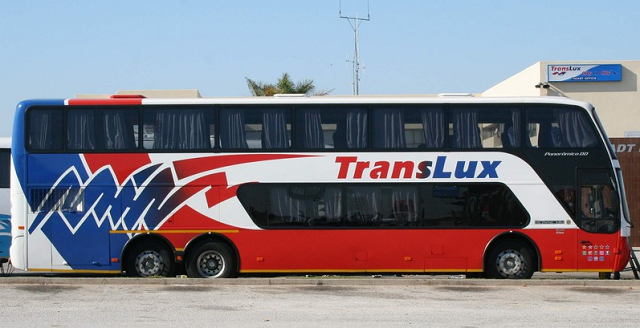 You can book intercity buses with Intercape, City to City, Eagle Liner, Greyhound, Intercity Xpress, Citiliner, SA Roadlink, Translux and Pioneer Coaches. Their range of buses ensures that they're usually offering the best specials. Computicket Buses takes bookings from and to, inter alia; Bloemfontein, Cape Town, East London, George, Hoedspruit, Jozi OR Tambo, Kimberley, King Shaka International Airport, Jozi Lanseria, Mala Mala, Margate, Mmabatho, Kruger Mpumalanga Inernational Airport, PE, Phalaborwa, Pietermaritzburg, Polokwane, Richards Bay & Sun City. In addition to the buses division; Computicket Travel also offers flights, rail transport, cruises, package holidays, hotels & even visa information. Computicket have developed a flight booking engine, which compares the flights prices of the various airlines, allowing travelers to select the cheapest airfare at the most convenient travel time. Train trips on offer include packages with tourist class on the Shosholoza Meyl and accommodation in Cape Town. Computicket travel has partnered with MSC Cruises to offer both local cruises from Durban and Cape Town on the MSC Opera, as well as Mediterranean cruises. Computicket offer package holidays; for example to Mauritius, Zanzibar (Tanzania), Victoria Falls (Zimbabwe or Zambia), Australia and the UK. Computicket caters for online hotel bookings in South Africa, where you can select which star rating hotel you're interested in. The offering ranges from the Fairmont Zimbali to the Auckland Rose Hotel in New Zealand. Computicket supplies visa application information. Computicket Travel is available at all Shoprite Money Market Counters. Click here to see Computicket Travel on Twitter. There is also a Computicket Travel Facebook presence. Whilst Computicket Travel has a presence at a lot of shopping stores countrywide, their head office is on the corner of Victory and Rustenburg Roads in the Greenacres Office Park in Johannesburg.